FLVS Full Time High School is excited to continue our partnership with the University of Florida and offer dual enrollment for the 2019-2020 school year. We will have space for 50 current students in our program next fall. If you are not currently a student of FLVS Full Time High School, there’s still time to enroll for spring semester to become eligible for this opportunity with UF in 2019-2020! Taking a dual enrollment college course while enrolled in FLVS Full Time High School allows you to earn credit that counts as both high school and college credit. We’re talking the whole two birds, one stone thing here. FLVS Full Time High School students can graduate high school with college credits and will incur less debt in college because dual enrollment courses are FREE to Florida students. It’s a win/win! Student debt is getting to a point where it is almost a crisis and according to an article about student happiness, studies show student loan debt can actually reduce the amount of joy a student feels when graduating college. A time that should be exciting can be daunting when you owe tens of thousands of dollars and likely do not have a job lined up yet. If you’re currently a high school student with FLVS Full Time, get excited and check out the dual enrollment options our online public school has to offer! At FLVS Full Time High School, we are excited to explore new ways to help students accelerate and earn college credit. Being ahead of the game is always a good thing and we’re here to help you do just that. 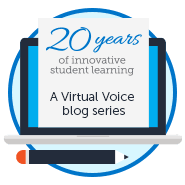 This entry was posted in Full Time Edition, Parent Edition, Student Edition and tagged college credit, Dual Enrollment, FLVS Full Time, UF, university of florida, university partnerships on November 29, 2018 by The Virtual Voice. Super excited for 2019 and UF dual enrollment!! Are students enrolled in Flex eligible for this as well? These dual enrollment opportunities are only open to FLVS Full Time students as it is considered their public school of record. 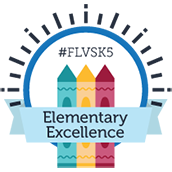 However, FLVS Flex students (including homeschool students) are encouraged to check with their local school district or colleges within their county to explore dual enrollment opportunities available to them! Are the sophomore students allowed to do dual enrollment? Hi Maria! Yes, this opportunity is available to any current FLVS Full Time high school students.